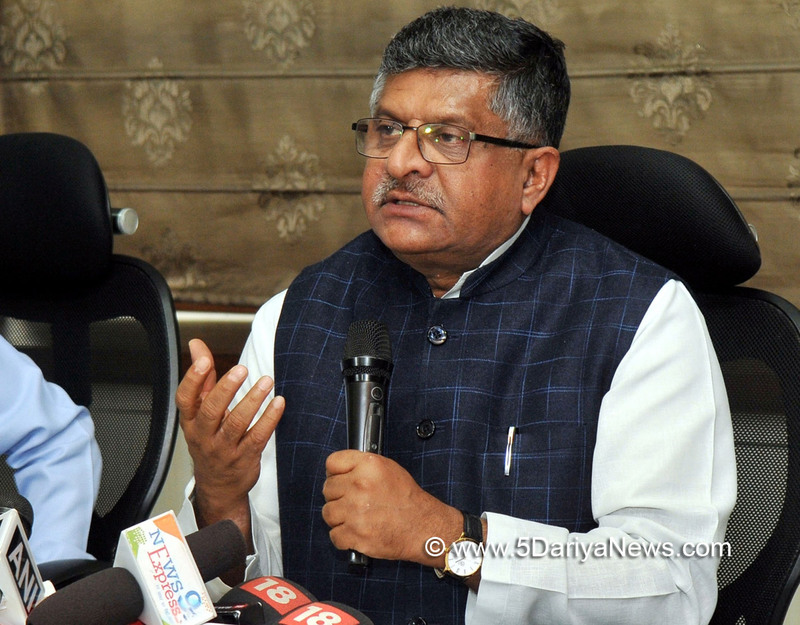 Union Law and Justice Minister Ravi Shankar Prasad on Monday said the Central government is fully committed to media freedom. "The government is fully committed to freedom of the press as well as to maintaining security and sanctity of Aadhaar for India's development," Prasad tweeted a day after various press bodies condemned the lodging of an FIR against a Tribune reporter who exposed Aadhaar data's vulnerability. "The FIR is against unknown (people). I've suggested UIDAI to request The Tribune and its journalist to give all assistance to police in investigating the real offenders." ress clubs and journalist associations on Sunday dubbed the FIR "a direct attack on the freedom of the press" and demanded an immediate withdrawal of the case.The case was filed after The Tribune newspaper published a news report on January 3 over alleged breach in Aadhaar data. The UIDAI registered an FIR against the newspaper and reporter Rachna Khaira.The FIR, lodged with the cyber cell of the Crime Branch, invokes serious charges under the Indian Penal Code, IT Act and Aadhaar Act. The UIDAI on January 4 said its search facility for grievance redressal may have been "misused" but denied any breach or leak of Aadhaar data.